ST. PAUL, Minn. & MONTEREY, Calif.
"When it comes to giving back, this golf tournament has been a fantastic means to do just that for many students like Sophia and Grace, who demonstrated great understanding and insight in their essays"
ST. PAUL, Minn. & MONTEREY, Calif.--(BUSINESS WIRE)--3M is committed to solving problems and improving lives, through its scientific capabilities and through investing in people. 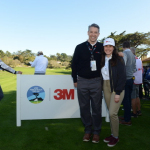 Today at the 3M Celebrity Challenge, 3M invested in the education of two local area high school students who were awarded with scholarships to further pursue their educational goals. Each of their schools also received funding to use at their discretion for other college-bound seniors. Sophia Buraglio, Carmel High School, and Grace Gonzales, Salinas High School, were selected based on essays that addressed the UN’s Sustainable Development Goals, how they see 3M uniquely positioned to address the goals, and why. 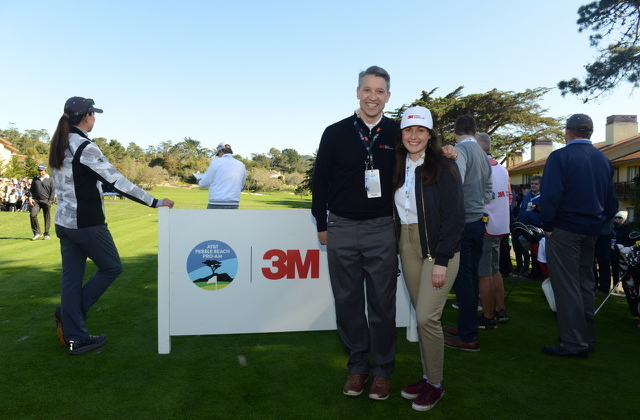 “When it comes to giving back, this golf tournament has been a fantastic means to do just that for many students like Sophia and Grace, who demonstrated great understanding and insight in their essays,” said Paul Keel, senior vice president, 3M Business Development and Marketing-Sales.